Konundra Business Advisory is founded by Jessie Koh in March 2014 with the passion to help business owners achieve their financial and business objectives. We set ourselves apart by offering practical roadmap down to execution and at attractive price points. Jessie has more than 20 years of commercial, business advisory and corporate finance experience. She has handled assignments ranging from business reviews, profit improvements, working capital advisory, fund raising activities, IPO Advisory, financial due diligence and M&A transactions. Having served as CFO in listed companies adds a practical touch in driving key business growth directions, compliance reporting, treasury functions, acquisitions and post-acquisition integration of businesses. She is involved in providing CFO and Transaction Support Services to our clients. Prior to the inception of Konundra, Jessie has worked as CFO in companies listed on SGX Main Board and was an Associate Director (Business Advisory) in one of the largest accounting and business advisory group in Singapore. She is a fellow member of the Association of Chartered Certified Accountants (UK) and a chartered accountant with the Institute of Singapore Chartered Accountants. 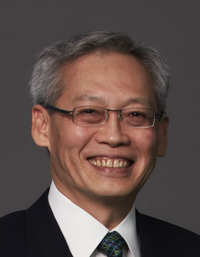 Boon Tiong has over 25 years of experience in financial services. He held many senior positions and was previously Managing Director of a regional non-bank financial institution listed on SGX Mainboard. He had also been elected to serve on the board of the International Factors Group SCRL (Belgium), a global association of banks and other financial institutions involved in receivables financing. He was also Chairman of its Asian Chapter. Since 2004, he continues to stay engage with businesses, especially small-and medium-size enterprises (SMEs), through his financial and management consultancy Kyra Capital Pte Ltd. He has also invested in companies that provide HR-related services. Apart from these companies in which he has a personal stake, he also sits on the boards of several other companies as either an independent or non-executive director. He is definitely a great resource to assisting our clients in their strategic business planning and working capital advisory. 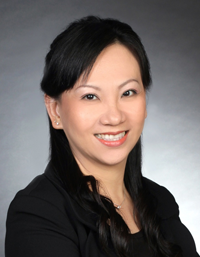 Choon Keow has over 15 years of experience in operational financial roles ranging from compliance reporting, group consolidation of accounts, to project management of ERP or systems including managing the budgeting and planning process of those companies under her supervision. She is involved in providing CFO Support Services with her team to our clients. Prior to joining Konundra, Choon Keow was the Regional Financial Controller of a professional services provider listed on SGX Main Board and has held regional finance roles in companies with operations spanning across the region. She is a chartered accountant with the Institute of Singapore Chartered Accountants and holds a Master of Business, Professional Accounting from Victoria University and Bachelor of Business Administration (Finance) from National University of Singapore. Francis has over 20 years of experience in the corporate finance and advisory business in the South East Asia markets encompassing cross border M&As, takeovers and privatizations of listed companies, IPOs, equity fund raising and advisory transactions. He has structured and worked on numerous transactions across jurisdictions such as Malaysia, Singapore and Indonesia among others. He has worked at investment banking units of banks and securities brokerages. Francis was previously the Director and Head of Corporate Finance and Transaction Execution at the Singapore investment banking arm of a regional banking group. There, he was responsible for managing and growing the corporate finance business and also the execution of transactions. He is a chartered financial analyst with the CFA Institute and holds a Bachelor of Economics from The University of Sydney, Australia. Norman has more than 20 years of experience and held senior finance and human resource positions in various industries during his early years. This was before joining the ERP solutions industry as a consultant in 2003. Norman has advised on numerous projects and oversaw many successful systems integrations and ERP implementations. The financial background and exposure in his early years continue to give him mileage when providing practical solutions to our clients. The in-depth financial and technology knowledge allows him to understand clients’ requirements and enable him to also look at simplifying work processes as part of the automation. He is involved in providing Management Support Services with his team to our clients. He will assist Konundra to strengthen this capability and give team guidance on key projects. Norman continues to serve his work commitments as Sales and Project Director of Globalsoft Solutions Pte Ltd. He graduated with Bachelor of Accountancy, Accounting and Finance from Nanyang Technological University of Singapore.